"All that we see or seem is but a dream within a dream" a line from Edgar Allen Poe poem rings very true in how life really is. Life can be so unpredictable, overwhelming and awe-inspiring at times and sometimes we cannot believe that is is our reality! No matter what is going on good or bad all experiences make you "stronger than yesterday!" I learned about this beautiful Poe poem not from school but from it being the underlying theme of one of the most iconic music tours is history from the one, the only, the legendary Miss Britney Spears! Believe it or not Britney is a constant inspiration to me and will always be and just like her, "I go through life like a karate kid." When I was concocting this dreamy elixir, all I could think about was how this cocktail was a high class, strong and vivacious lady drink and to me nobody embodies that more than Britney! Enjoy this gin martini variation and let it take you into your own dream within a dream. Take out a chilled mixing glass and stir spoon and add in all ingredients above and 4-5 medium sized ice cubes. Then stir ingredients for up to a minute until cocktail is fully diluted and chilled. Next, take out your julep strainer and pour cocktail out into a chilled coupe glass. 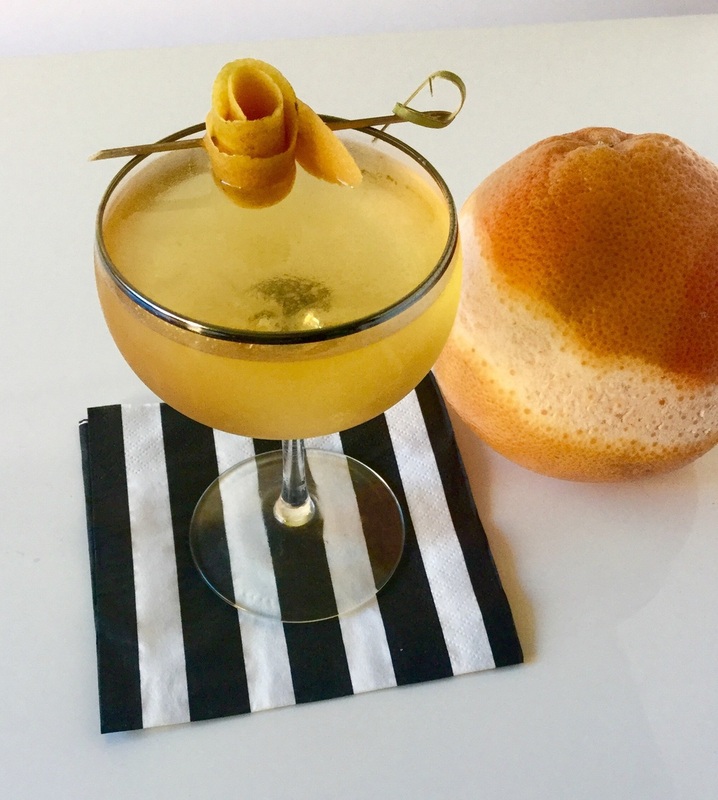 Then peel a long grapefruit peel and express oil onto the cocktail and rim the glass with the peel. Finally take the peel and roll up into what looks like a rosebud. Cheers! Martin Millers Westbourne Strength Gin: A small batch London Dry Gin with notes of jade, jasmine, juniper, citrus peel, cardamom and peppercorn. After distillation the spirit is shipped to Iceland and blended with Icelandic water. Amaro Meletti: Silvio Meletti began producing liqueurs in 1870 in Marche and a few years later began producing this beautiful Amaro. With notes of saffron, lavender, violet, chocolate, anise and orange. Dolin Dry Vermouth: Produced in Chambéry, France since 1821 and is the last distillery in that region. Tasting notes of lemon peel, green grass, tarragon and stone fruit. Scrappy's Grapefruit Bitters: Seattle Bartender Miles Thomas created this bitters line in 2008. He set out to make an artisanal small batch bitters line made with integrity and quality and he did just that.